Thank you to our partners at Nine Dot Connects for the SOLIDWORKS PCB webinar that they hosted last month. The webinar discussed the power behind this tool, its ability to communicate with SOLIDWORKS in near real time, allowing the mechanical and electrical elements of the design to be worked out without importing and exporting STEPs or spending hours trying to clean up. Even for the engineers that do not work directly with the electrical aspect of the design, this webinar shows you what is out there to make the collaboration between you and the electrical folks a little bit easier. Weren’t able to join the webinar? Not a problem! Check out the recording here. 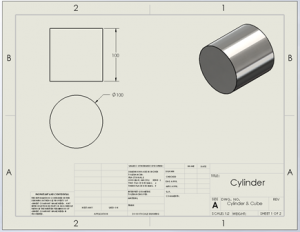 In SOLIDWORKS drawings we can have multiple sheets referencing different parts or assemblies as needed. Periodically, we may need to delete a sheet and/ or model views as part of the development process. 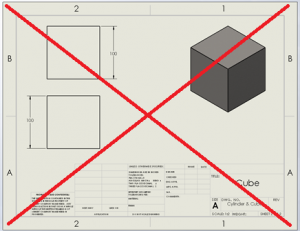 When we remove a sheet from a multi-sheet drawing, why does the part or assembly still show up in the file references, and in PDM? We don’t have to ask you if you want to save money and time because who doesn’t? The first step to doing just that is investing a little bit of time to understand the value of your SOLIDWORKS. Unitec is here to help! Take advantage of our CAD Evaluation service which will help you understand what your current SOLIDWORKS already offers. With that you’ll be able to increase your usability and understand how you can better improve your process with the right tools. So where do you start? It’s simple. Contact us to schedule an appointment with Greg Wilkman. He will gladly meet with your engineering team to discuss your current CAD, what exactly you can do with it and how you can better utilize the software to improve your process for a more seamless CAD experience, lower your costs, and achieve a faster time-to-market. Don’t waste anymore money, contact us now! Unitec makes it easy to purchase SOLIDWORKS with our financing options! You can pay for your license(s) overtime to ease the pain of paying all at once. With financing you are able to acquire licenses that you want now and customize your payment plan to match your current cash flow without having to affect your bank line of credit! Don’t wait any longer, get SOLIDWORKS stress free today! For all other classes please contact us. You can get Unitec's monthly newsletter right to your email! Just fill out the following information and you'll get the upcoming newsletter early next month!